This is the end exhibition and terminal destination for the research laboratory of Stitching Worlds. The exhibition blends the worlds of textiles and electronics in novel ways through past, present and future tense narratives. What if electronics emerged from textile handicrafts such as knitting, weaving, crochet and embroidery? 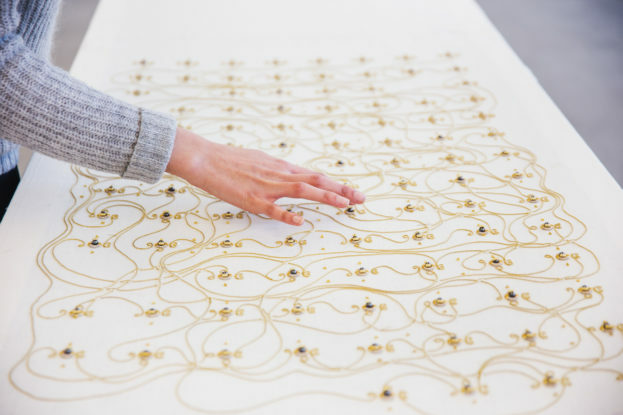 How would technology be different if craftspeople were the catalyst to the electronics industry, via textiles manufacturing? 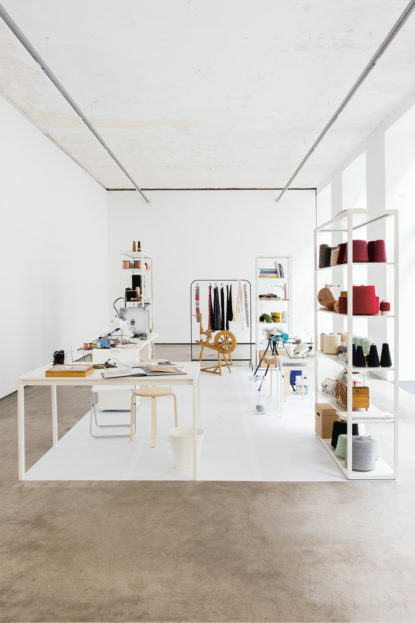 The focus lies on the tension created by the use of highly traditional textile techniques as an alternative way to manufacture functioning electronic technology. By revealing unexpected potentials of often-undervalued knowledge and skills, the objects and installations on display question the commonly accepted value systems and their implications.